One Momma Saving Money: Beat Bugs themed toys, games and more are now at Target! Beat Bugs themed toys, games and more are now at Target! The series is inspired by the music of the Beatles and re-recorded by today’s hottest contemporary artists like P!nk, Eddie Vedder, Rod Stewart, Tori Kelly and more. 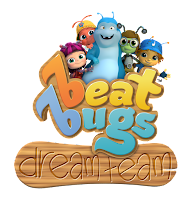 Beat Bugs introduces a whole new generation to the music from the greatest and most influential band in rock history, The Beatles. Each episode features amazing music from The Beatles by today's artists. The episodes feature friendship, problem-solving, working together and more. The young bugs learn some valuable life lessons! I love how creative the series is and how the bugs use our "normal" backyard items for play and imagination. 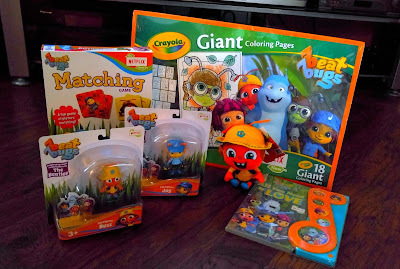 Well now you can buy some fun Beat Bug themed products at Target! Matching or Memory as my kids call it is a fun game and a staple in every house. Why not pick up a game with our favorite characters and make the game even more fun! They even have the extra large coloring books and musical books too! I spotted a couple of the musical books at my local Target! Jam to your favorite beats while reading about your favorite characters! They run for about $10.99 for the books. Not only are their toys, but more games, bedding, clothing line and more at Target! Created by Josh Wakely, Beat Bugs is an Emmy award winning animated kids series featuring music inspired by The Beatles. Currently a hit on Netflix, the story revolves around the lives of five best friends, charming and funny childlike bugs who explore and learn in their suburban backyard home. Each episode ties in a song made famous by The Beatles in an innocent and child-friendly fashion, sung by one of the characters or guest stars that include mega musicians like P!nk, Sia, Jennifer Hudson, Rod Stewart and more. 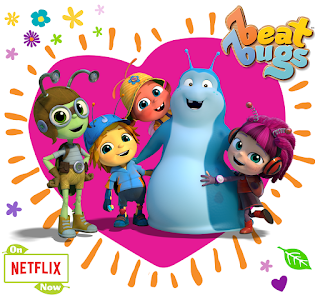 Beat Bugs introduces a new generation to the music of the most influential band in rock history, The Beatles!